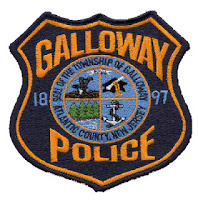 According to Galloway Township Police, a vehicle driven by Sonal Kansagara, 30 from Egg Harbor Township, failed to yield while attempting a left hand turn and collided with a vehicle driven by Cristi Gopen, 42 of Galloway. The accident happened at 4:41 p.m. on March 21, 2013. Kansagara was attempting to make a left turn onto Moss Mill Road from New York Road and failed to yield to Cristi Gopen, who was traveling south on Moss Mill Road, said Police. The impact forced Kansagara's vehicle into a traffic light. Gopen and her passenger both sustained minor injuries and were transported to AtlantiCare Mainland Division. Gopen's passenger was a 14-year old male also from Galloway. Both injuries were reported as Leg Injuries. The New Jersey Department of Transportation responded to repair the traffic light that was knocked over from the collision. The intersection was partially closed to southbound traffic on New York Road due to the downed traffic light. Galloway Police were at the scene alternating traffic.